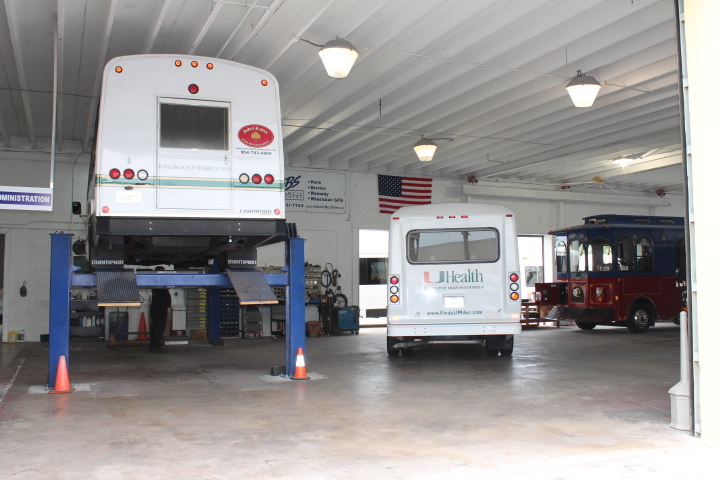 It is absolutely critical that you use quality parts whenever you are performing repairs or service on a bus of any size. Quality parts ensure safety, compatibility, and the best performance for any vehicle. Any time that you are looking to find parts for a bus, the team at Atlantic Bus Sales will be ready to provide the best OEM and aftermarket replacement parts. When you source your parts from a reputable dealer, you will always have peace of mind in knowing that all of your mechanical, electrical, and body repairs will live up to only the highest standards. For some models, direct original equipment manufacturer parts might not be easily available. However, when you do have access to these parts, they should be your first choice. Although OEM parts can cost more, they’re the easiest way to find parts for a bus when you need direct replacements. One of the biggest advantages of choosing OEM is that you’ll be sure that the part number correlates to only one spare part. This takes out the guesswork of choosing between various aftermarket parts from third party manufactures. This will ensure compatibility, so what you end up dealing with should be a drop-in replacement, which can cut down on the time it takes to perform any servicing or repair work. 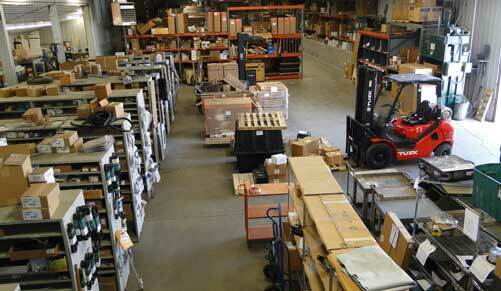 Quality is also a factor when it comes to choosing OEM parts. While some aftermarket parts can meet or exceed the original equipment manufacturer specification, this is not always guaranteed. When you choose a part produced or recommended by the manufacturer, you will be sure that it lives up to the same performance and longevity standards as the original part. Another reason why you might want to choose a quality OEM part, is because you’ll be able to take advantage of a manufacturer’s warranty. Although some aftermarket parts do come with warranties, it’s not something that can be taken for granted. With a part that is supplied from the bus manufacturer, you’ll get at least a one-year warranty with the purchase, depending on the part. Are Aftermarket Parts a Bad Idea When You Are Buying from a Bus Parts Dealer? We’ve talked about how OEM parts are the preferred option, but sometimes they may not be available, or they may be prohibitively expensive. In the case of some custom buses, it may even be that OEM parts are not available, or that aftermarket parts were used on the initial build. In these cases, aftermarket parts aren’t necessarily a bad choice when you need to find parts for a bus. The most important thing to keep in mind, is that not every aftermarket part is created equal. Sometimes, a part produced by a third party can exceed the performance and quality standards of the OEM equivalent. At other times, the part may be inferior. At Atlantic Bus Sales, we only supply parts that meet our high quality standards, regardless of whether they are OEM or aftermarket spares. For some aftermarket options, you will find that the price is much more affordable when compared to OEM parts. This doesn’t necessarily mean that there’s a quality difference. There are a number of factors that go into the pricing of replacement used bus parts. Manufacturers sometimes inflate the price of OEM parts so that they can retain a particular brand perception. Another reason that OEM parts cost more is because manufacturers need to recoup research and development costs, and it’s also expensive for them to continue producing or stocking legacy parts for their older models. Aftermarket manufacturers need to reverse engineer OEM parts, but they don’t necessarily need to stick to the original specifications. The original manufacturer has to think about the cost of the original vehicle, and this can mean that materials selection and design of spares will never evolve or improve. There are a number of third party aftermarket parts that are actually better than the OEM equivalent, and they can provide longer lifetime and better performance. Again, this all depends on the particular part and the manufacturer, but it’s something that is important to keep in mind when you are buying used bus parts. Because there are so many variables and an exception to almost every rule, it’s important that you speak to an expert before settling on any particular part. At Atlantic Bus Sales, we’ll help you to find the ideal spares and replacements for your bus, and quality will always come first, regardless of whether the part is OEM or aftermarket. Talk to us today about any of your parts needs, and we’ll ensure that you buy used bus parts that guarantee reliability and safety for your small, medium, or large category bus.